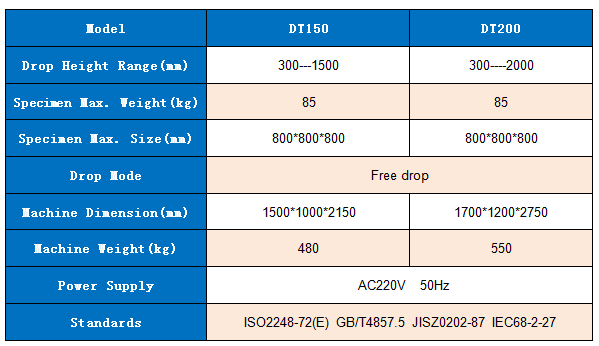 Drop tester is used to measure the dropping impact incidence when the package in using、transportation and decorating. angle test to ensure the complete performance evaluation for the package. 1: Unique swing arm mechanism design, the acceleration of swing arm detachment is more than 3G. 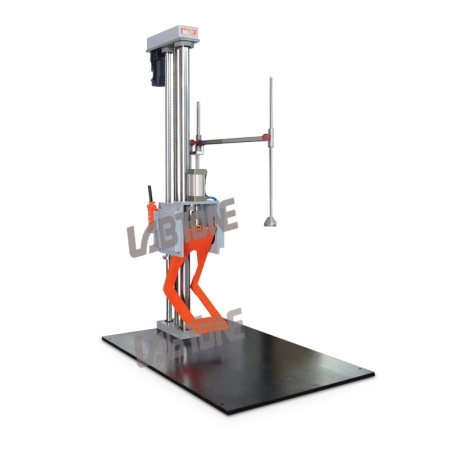 3: Self locking screw lifting mechanism to prevent accidental glide of the drop mechanism. 4: Pneumatic automatic chain, preventing swing arm abnormal glide. 5: Extensible support bracket and baseboard.